As-salaam Alaikum. May all our sisters and brothers have a very blessed Leilatul Qadr 1437 (2016). On this blessed night, make dua / supplications to HIM for all good things you need, want, as sincerely as you can. InshAllah, HE will grant your requests if HE considers them to be truly in your interest. Remember, only The Almighty knows what is good for us, we do not. We often ask for things that would do more harm to us than good. Therefore, make dua with the fullest of trust and Faith in Allah, The Almighty, requesting HIM to grant you whatever HE considers best for you. Our guests who know little or nothing about Leilatul Qadr, kindly scroll up and read the two detailed posts on Leilatul Qadr by Brother Truth-Seeker and Sister Heba. Wa'salaam and shukran Sister Zeynab. Best wishes to you too. Very important Night - The Night of the Noble Quran, The Night of Power ...... true Power! All praise be to YOU, dearest Allah. Is it on July 2nd? Wow, see how fast Ramadan 2016 passed by. Many thanks Sis Heba. July 2 is the 27th day of Ramadan. The Night of Qadr is on the night of 1 July .... unless our imams and jurists observe it a day earlier or after. This often happens when they begin Ramadan a day or two later or earlier because of confusion in citing the moon. However, I think this year, Ramadan starting on June 6 was correct. So, InshAllah, Night of Qadr should be July 1 and July 27 would be the 27th roza. Thanks Sis. I just counted the fasts starting June 6. You're right, 26th night falls on July 1 and July 2 is the 27th fast. I hope our folks stick to it, InshAllah. Hopefully they should send a circular on email as well for confirmation. Ameen, ameen, ameen, ya Allah. Time really flies. InshAllah, we will see through Ramadan 2016. It went by so quickly. Was a very enjoyable Ramadan as always. Apart from seeking the Mercy and Blessings of Allah, this blessed month also provides great opportunities of family get-togethers. All members of our family and extended families get more time than usual to spend in each others' company. We must try hard to make each month of Ramadan as fruitful as we can for we never know which one might be our last. The popular personality of our Muslim world, former boxer and human rights activist, Muhammad Ali, passed just 3 days before Ramadan 2016. Ramadan began this year June 6, and he died June 3. I'm sure he had already earned his blessings and by the time Allah Almighty called him for his final journey, his failing health had made him too weak to fast or even continue life. However, it can happen to anyone, and while a person gets themselves ready to earn the blessings of Ramadan, their call may come a day or two earlier. Only Allah knows best when is the right time to call each one. Nothing can be taken for granted. May Allah Almighty grant peace and Jannat to Muhammad Ali. Ameen. Yes brother TS .. and thoughtful of you to mention about the late Muhammad Ali. We were so sadly shocked. He was such a sincere who always fought for justice. Let us all pray for his peace and happiness in the next world during our Leialtul Qadr prayers. May Allah Almighty grant him Jannat. Ameen. Indeed he was a very noteworthy person of our Muslim community at an era when it's hard to find sincere people anywhere. Very kind of you br. TS to mention him. InshAllah, I will surely pray to The Almighty on Leilatul Qadr for the well-being, comfort and peace of Muhammad Ali in the next world. Ameen ya Allah. It was a very sad event. And yes, he passed only 3 days before the start of Ramadan. June 21, 2017: Leialtul Qadr Mubarak to all believers. May The Almighty accept our heartfelt prayers in memory of the Day He revealed the Great Quran. Ameen ya Allah. May Allah grant the strongest of iman, peace and contentment to our families. May Allah grant iman, peace, strength and sincerity to our honest members of the Ummah that truly want to remain sovereign and do not indulge in treachery with enemies. Ameen ya Allah. The month of Ramadan 2017 passed by so fast. But every Ramadan teaches us something we never knew before which is remembered forever, and InshAllah, it will improve our record book which we will find wide open before Allah Almighty on the Day of Judgement. Ameen, ameen, dear Sister Heba. What a beautiful, heart warming and dazzling dua. Adorable! Ameen ya Rab. Endless thanks to Allah The Almighty for giving us the Great Quran, always protected that will never change. O yes Sister Zeynab .. so correct. However much we thank The Almighty for the Gift of the Great, Noble, Lovely Quran, it can never be enough. Ameen ya Rab al Alameen. The most beautiful Night was the one when Allah sent us this remarkable Gift. True, we can never thank Him enough for it. Leilatul Qadr 2018 will, InshAllah, be observed on the night of Ramadan 26th (June 10th). 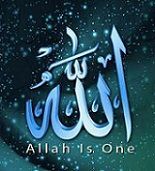 In the Noble Quran, Allah Almighty has chosen not to mention precisely which day the Great Quran began being revealed to the beloved Prophet (pbuh). Allah has only mentioned that the Revelation began in the month of Ramadan, that is, in one of the 30 days of the month of Ramadan. Thus, extra worship is necessary throughout this month. For the peace of our own souls, we want to select one day of this month as Leilatul Qadr when we must devote maximum time to prayers and the Quran. We may pick that day as the night of 26th / fajr of 27th (as traditionally practiced) for the purpose of togetherness within our community during our worship of Allah Almighty. Do please remember, the actual Day of Leilatul Qadr in Ramadan is known to Allah Almighty alone. That might be the night of 26 Ramadan or some other night of the blessed month. Allah-o-Alim. "Indeed! We revealed it on the Night of Power. Ah, what will convey unto you what the Night of Power is! The Night of Power is better than a thousand months. The angels and the Spirit descend therein, by the permission of their Rab, with all decrees. (The night is) Peace until the rising of the dawn." 97:1-5 Surah Al-Qadr. "Ha. Mim. By the Scripture that makes plain. Lo! We revealed it on a blessed night. Lo! We are ever warning. Whereon every wise command is made clear, As a command from Our presence. Lo! We are ever sending, A mercy from your Rab. Lo! He, even He is the Hearer, the Knower," (44:1-6) Surah Dukhan. "The month of Ramadan in which was revealed the Qur'an, a guidance for mankind, and clear proofs of the guidance, and the Criterion (of right and wrong)." (2:185) Al-Baqrah. The Night Of Power is better for you to live, to experience and to enjoy than one thousand months of your life. Even if you were to live one thousand months (83.3 years) with sincerity, dedication, and sacrifices and with good intentions and deeds, the Night Of Power is still far better for you to live and to enjoy. The Revelation of the Qur'an started in the month of Ramadan and specifically on the Night Of Power. The Revelation of the Qur'an; a sign of Mercy, a guide and a blessing of Allah to mankind. Anyone who is interested in finding the best guide, he/she should look into the teachings of the Qur'an. The Night of Power is a night of blessings. Allah has blessed this Night. Therefore whosoever is interested in receiving the blessings of Allah may look forward to the Night of Power. Concerning the sign of Lailatul-Qadr, The angels and arch angel Jibreel, all descend down onto earth for many purposes. - Recitation of the Our'an. - Nafl prayers (after Taraweeh for those who attend it). - Remembrance of Allah or zikr. - Supplication or Dua for you and for others. - Reading a good tafsir (commentary) of the Qur'an. - Giving charity to others if you can afford. - Trying to explain Islam, if you know something about it, to those next to you so they will benefit from you. The Night of Power is a very important occasion in Islam. Everyone is asked to live it and to enjoy it. This Night is a night of Mercy, a night of Blessing, a night of Peace and a night of Guidance. It is a night of Unification between the finite world of ours and the Infinite Universe of the Unseen. Anyone who is interested in attaining the Mercy of Allah will strive very hard to live and pray in the Night of Power. Anyone who is interested in receiving the blessings of Allah on the Blessed Night will work very hard to enjoy the Night of Power. May Allah give us the strength, the power, the courage and the effort to do our best to obey HIM and follow HIS teachings. Ameen ya RAB, ameen. May Allah guide us and may Allah strengthen our Iman. Ameen ya RAB, ameen. May Allah help us to live another year with sincerity and devotion. Ameen ya RAB-al-Alameen, ameen. May Allah make us realize that one year of our life is over and that we are one year closer to making our final journey. Let us wake up and do our best to please Allah in our daily life. Let us ask for forgiveness from Allah The Almighty. Ameen ya RAB-al-Alameen, ameen, ameen. Thank you dear sis. Excellent reminder. So very true .... with the passage of every Night of Decree each year, we are one year closer to making our final journey. Indeed it is a "Night of Unification between the finite world of ours and the Infinite Universe of the Unseen." Very correctly put. Alhumdulilah, Leilatul Qadr 2018 went so well here within our family. Beautifully peaceful, full of prayers, Noble Quran and tons of supplications for the betterment of all believers with special duas for MV Team and its sincere readers. Ameen.